Dr. Clemens Arth is founder and CEO of AR4 GmbH, and he is technology consultant. He is also affiliated with Graz University of Technology. His main research interests are Computer Vision algorithms, Augmented Reality technology and Machine Learning. The current focus of his work is on accurate global localization of mobile devices for AR applications. In the past, he was deputy director of the Christian Doppler Laboratory on Handheld Augmented Reality at Graz University of Technology. He worked for several companies, such as Frequentis or Zydacron GmbH. He received Dipl.-Ing. (2004) and Dr. techn. (2008) degrees from Graz University of Technology. He was an organizer of the AR Supermodels workshop at the IEEE International Symposium on Mixed and Augmented Reality in 2010, and of the CDL Workshop on Tracking Technology for AR in 2014. He is author and co-author of numerous peer-reviewed publications at ISMAR, VISAPP, CVPR, ACCV, ICPR and VR. He is also reviewer for several journals and international conferences, such as RTIP, TVCG, VR, C&G, ACE and MVA. 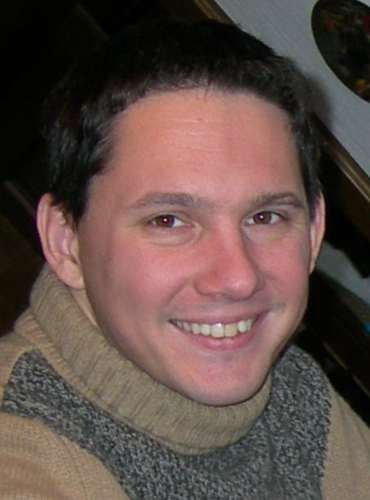 In 2007 Clemens Arth won the best paper award at the CVPR workshop on Embedded Computer Vision and the best paper award at the Computer Vision Winter Workshop (CVWW). In 2015 he won the best paper award at the International Symposium on Mixed and Augmented Reality (ISMAR).